Brushing and Flossing Techniques for a Healthier Smile! Have you ever heard the old adage “It’s the little things that count”? Well, that can be applied to all areas of life, even your oral health! Though it may not seem like a big deal, simple things like brushing and flossing can really make a difference in your teeth. The doctors at Central Dental Associates are strong believers in patient education, and they want to make sure you have the proper knowledge to better care for your smile. 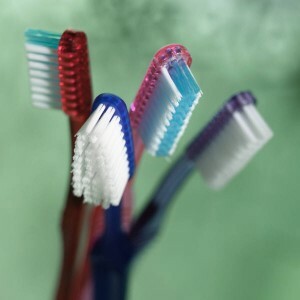 In regards to toothbrushes, small toothbrushes with small, rounded-out ends are best, as they can clean your entire mouth without damaging any tissue. A very important tip is to make sure that you change your toothbrush every three months, or after recovering from a sickness. This prevents bacteria from infesting your mouth and helps you have a cleaner smile. Tilt your toothbrush to a 45 degree angle, and use small, circular movements to gently brush along the gum line and the teeth. To be especially thorough, brush the tongue and the backs of your teeth! With flossing, this is a very secure way of removing stubborn bacteria, plaque, and tartar from where your toothbrush can’t reach. You want to form a U-shape around the tooth, but do not jerk the floss in and out of the gum line, as that can cause bleeding. Gently slide the floss between the teeth, and do it for every tooth. If you have any more questions about how to properly brush and floss your teeth, make an appointment, and we’d be glad to help! With summer rapidly approaching, you want to make sure you are able to take full advantage of your summer vacation with a beautiful, and, most importantly, healthy smile! Comments Off on Brushing and Flossing Techniques for a Healthier Smile!